Words I Never Thought I’d Say…. Source: Words I Never Thought I’d Say…. It wasn’t how we’d planned our last day in Vienna. It had been an amazing week–3 days in Vienna, a train ride for a few fairy tale days in Salzburg, then the train back to Vienna for one last evening before our flight home. We’d seen the Spanish Riding School, Schonbrunn Palace, St. Stephen’s Cathedral, the Opera House, the Parliament building, the MuseumsQuartier, Stadtpark. 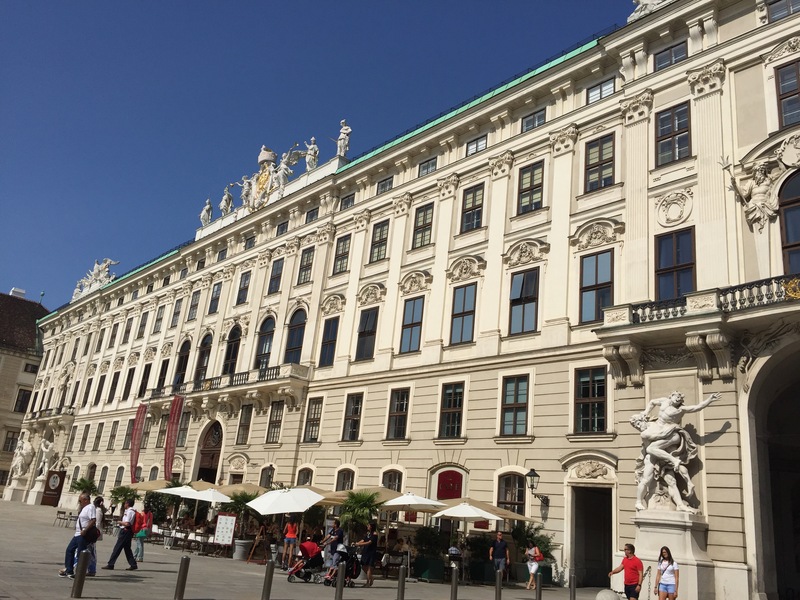 As we learned about Jewish history, and Mozart, and listened to music (Mozart and Strauss, and Verdi, and Beethoven, and more), drank good beer, saw the history of Freud and the opulence of the Hofburgs, we compared the Vienna we grew up in (Vienna, West Virginia) with this “real” Vienna. Sure, our Vienna has a river, too–the Ohio River rather than the Danube. Our Vienna has a boys’ choir, too, thanks to Janet Blessing and the Smoot Boys’ Choir. Our Vienna has woods, but the foothills of the Appalachian Mountains rather than the Alps. 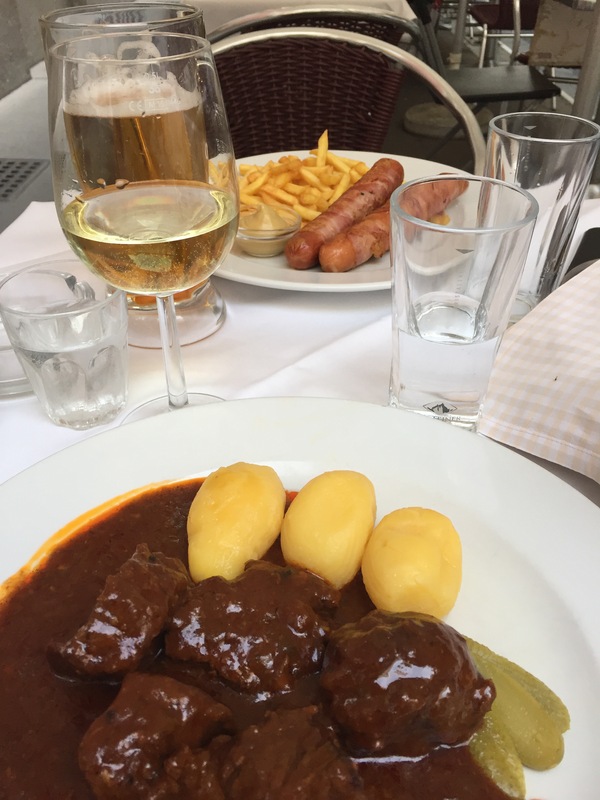 In this Vienna, we hopped on and off, Ringstrassed, and wiener-schnitzel-ed more than we dreamed possible. The last, and critical, item on our list included sampling the very best desserts of Vienna–the decadent sachertorte, a dense chocolate cake including a layer of apricot jam under the dark chocolate frosting, and strudel, the whirlpool of thin buttery pastry with fruit filling. We had chosen the best locations for the sweets, in the best places, to people watch before we left for the bus stop. Then we met Rose. She was waiting, as were we, for the bus from the airport to the Zentrum. The pretty, older woman asked us, in German, what time the bus would arrive. With our stumbling and deer-in-the-headlights look, she quickly began to speak English, and we discussed the arrival of the bus, our nationality and hers, and the warm and sunny weather. She relayed that she had accompanied her son to the airport, that he had been in Vienna to comfort her on the 2nd anniversary of her husband’s death (that day), but was headed back to his home in Zurich. Her plan was to enjoy an ice cream treat before she went home alone to her apartment. We sat with Rose on the bus as she told us about her home in Salzburg. We enjoyed conversations around music and books, loving and missing family. As we three left the bus at the designated spot, Mark and I thanked Rose for the chat and wished her comfort in her grief, telling her we would keep her in our prayers. She grabbed our hands and asked, “Won’t you please join me for some ice cream?” The answer took not a moment of review on our part, and we followed the woman across the trolley rails and down the block, arriving at Schwedenplatz, commandeering a table for three. She smiled proudly as we ate, and introduced herself as Rose, German by birth, resident of Switzerland for many years before moving to Vienna with her second husband, Leo. She talked about their yearly tradition of attending an opera, but twice having walked out at intermission as it was too progressive. She told us she was born in 1939, that her father died two weeks after he was conscripted to serve in World War II, that her family fled to Switzerland in order to survive. And after we talked and laughed, finished our ice cream and grabbed the bill, Rose bid us farewell in the traditional three-kiss Austrian fashion. This woman, kind and wise and beautiful, grabbed both my hands and looked in my eyes. “Take care to love your husband so well,” she said, then patted Mark once more on the arm and walked away. We never did taste sachertorte or Austrian strudel, but we did have the most delightful sampling of human nature! I don’t believe in luck, or karma, or kismet–it’s no accident that we encountered Rose, who delighted and encouraged and taught us. It was on our itinerary–not the one we made–all the time.